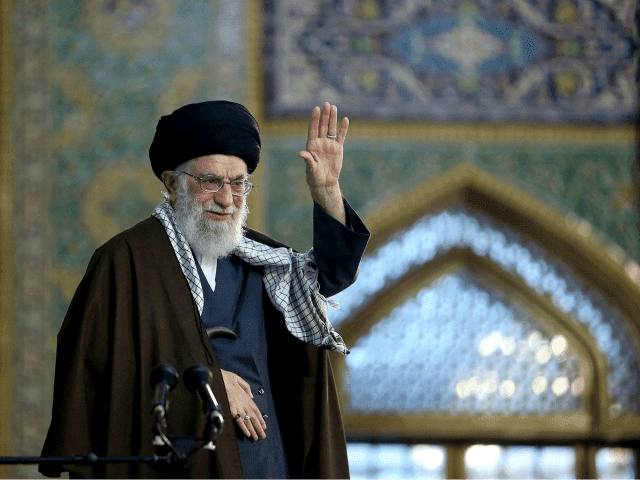 Ynetnews reports: Iran’s Supreme Leader Ayatollah Ali Khamenei called Wednesday on the people of Muslim countries to defeat Israel. “With an intense and planned struggle, they should force the enemy to retreat toward the point of demise,” he said. Any move to negotiate with Israel would be an “unforgivable mistake”, the cleric added, after Saudi Arabia’s crown prince said Israelis were entitled to live peacefully on their own land. Supreme Leader Khamenei later tweeted, “On days when escalation of oppression & barbarism by the Zionists, in Gaza has saddened and angered those who care for Palestine, we reiterate the perpetual stance of the Islamic Republic regarding the issue of Palestine.